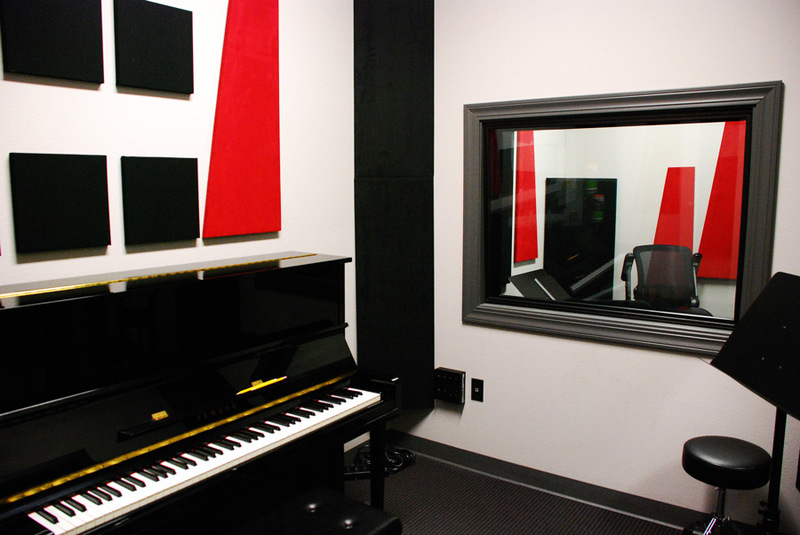 Our sound studio windows consist of two independent fixed windows on each side of your window opening. 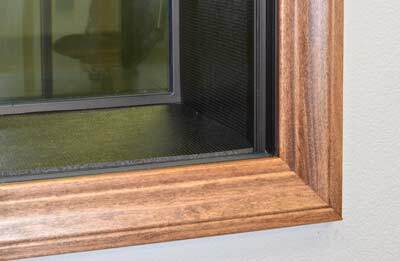 Each window can be installed vertically or slanted, your choice at the time of installation. 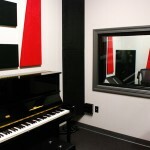 Our recording studio windows achieve an STC value of 64. 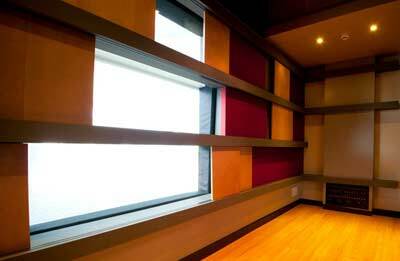 Another option for recording sound studio windows are our operable sliding windows. 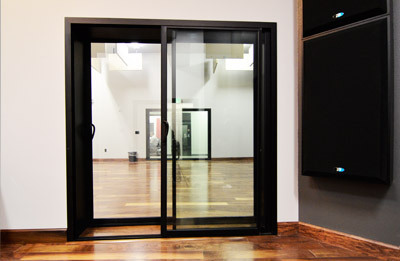 Two sliding windows allow you to open the windows and have a more personable direct conversation when not recording. An opening window that still has STCs of 64 or 65 has never before been available. 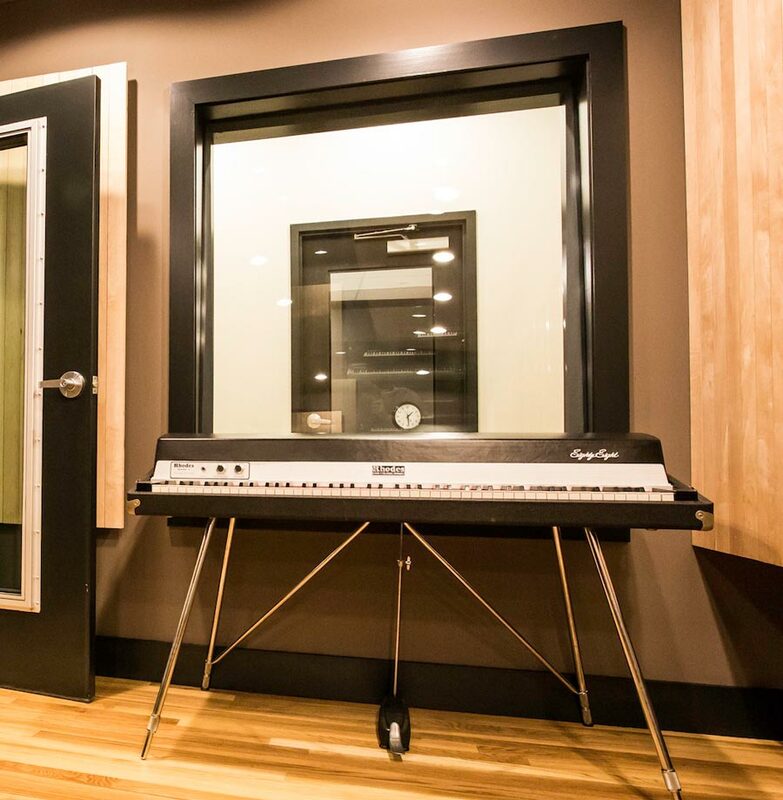 All of our soundproof studio windows and doors use laminated glass rather than dual pane glass, which is never a good noise reduction glass configuration. 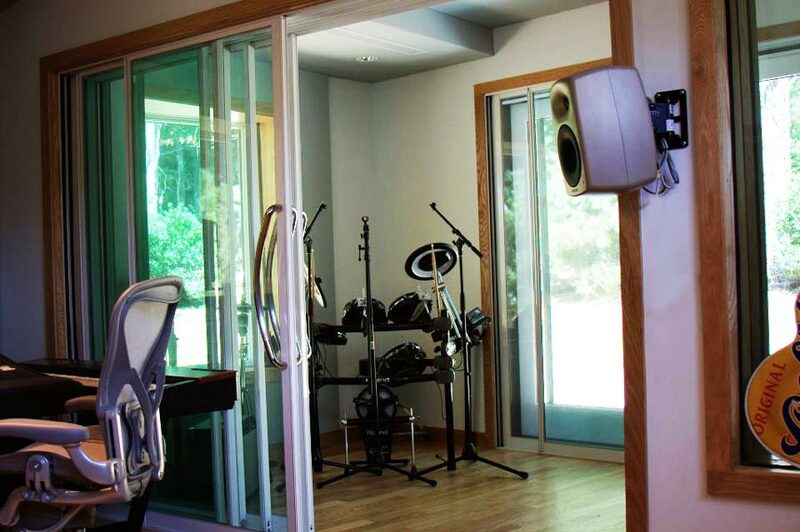 Our laminated glass is custom made for our 0.650 inches thick soundproof windows. We also use 0.250 inch thick laminated glass. 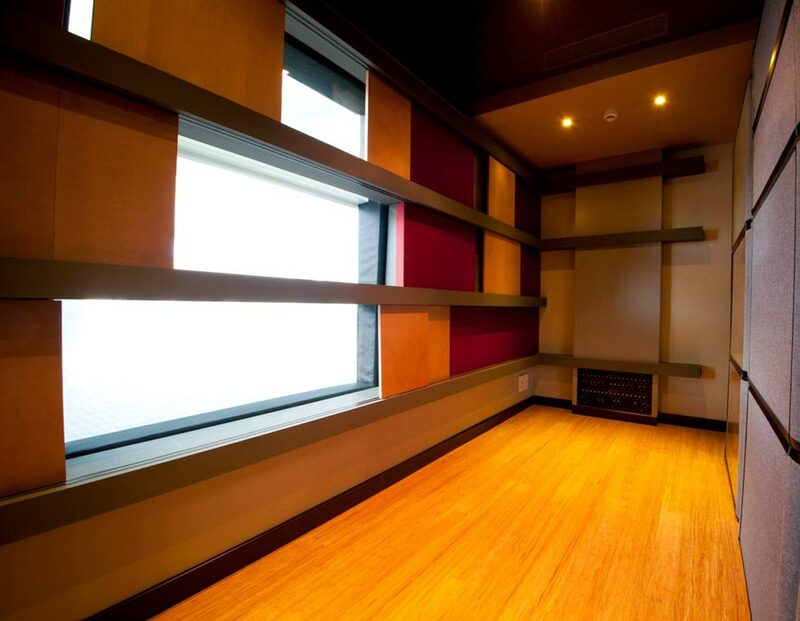 One or both of the sound studio windows in the opening will have the special 0.650 inch laminated glass. All our studio windows use low iron glass. With no green glass tint, our windows are super clear, virtually disappear and have a remarkable clarity. 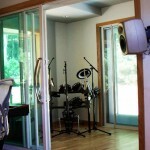 Add one of our sound studio windows to your existing studio window to improve the STC value of what you currently have. 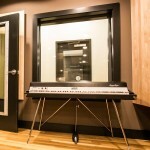 Our sound studio window is only 1.25″ thick and can be mounted on either side of your current sound studio window. Ask us for details about how this can be done to raise your existing STC values into the 60s.